Recycle: To reclaim for further use. Can i Or Can't i? Let's Go Fly A Kite…! Not Sure i Knew That? To be or not to be? PLEASE CLICK ON THE LINK BELOW TO LISTEN. Confidence and Self Confidence are hot topics these days. All around me i’m told to think confidently, to be self-assured, to live boldly. Society says, be self-confident, but what does the Word have to say about confidence and self-confidence. The word confidence (or very similar words) is referenced 50 to 60 times in the Bible depending on the translation you’re reading. These references refer to my trust in people, circumstances, and God. The Word is very clear about this word confidence and adding the word self in front of it. Here’s what Philippians 3:3 says, “Have no confidence in the flesh.” Flesh as in self! If that’s not clear enough then here’s Proverbs 14:16 “A righteous man departs from evil, but a fool rages in his (self) confidence.” Neither of these verses suggest that i’m not to have confidence, but they do make it clear, that confidence in myself is misplaced. Based on the that premise, what should confidence in my life look like? Psalm 118:8 says, “It is better to trust and take refuge (have confidence) in the Lord than to put confidence in man.” i’ve spent many years and struggled hard to get rid of anything prefaced with self. This needs a little more explanation. i have self-esteem but it’s not based on my looks, my position, the clothes wear or the car i drive. In fact it’s not based on anything i can see, hear, taste, touch or smell. which is how the world packages it. my self-esteem is based on being God’s child, born again of the incorruptible seed. The Lion of Judah represents the triumphant Jesus. King David and Jesus came from the tribe of Judah. Through that lineage i am a Lion of Judah, triumphant and confident in my heritage. my confidence is in a personal, intimate relationship with God. He is my High Priest, and through His intercession, i can “approach the throne of grace with confidence, so that i may receive mercy and find grace to help me in my time of need” (Hebrews 4:16). Proverbs 3:26 for me is a guarantee. “For the Lord shall be ed’s confidence, firm and strong, and shall keep ed’s foot from being caught [in a trap or some hidden danger]. Putting my confidence in His revealed Word, changes everything. my life takes on a new stability, focus, and identity. It’s there that i realize, i am smart enough “because i have the mind of Christ, because i have established my thoughts in Him, therefore every step i take is ordered by Him.” Now there are no good days or bad days, no good circumstances or bad circumstances, just days and circumstances filled with grace. Practical application is a required element for good information to become life changing versus just good information. So in order to build up my “FEARLESS CONFIDENCE” i am intentionally committing to not say anything about myself or anyone else that God himself hasn’t or wouldn’t say about me or others. Ephesians 4:29, ed, let no foul or polluting language, nor evil word nor unwholesome or worthless talk [ever] come out of your mouth, but only such [speech] as is good and beneficial to the spiritual progress of others, as is fitting to the need and the occasion, that it may be a blessing and give grace (God’s favor) to those who hear it. Words and Actions, Words and Actions, ed overcomes (conquers) circumstances, trials, by means of the Blood of the Lamb (confidence) and by the utterance (words) of his testimony, for ed did not love and cling to life (self, flesh) even when faced with death [holding his life cheap till he had to die for his witnessing]. (Revelation 12:11) paraphrased. Hello i’m Dr. Ed Peterson host of the me and I Am post and podcast. i don’t pretend to have all the answers and in fact my intention or purpose for these posts is not to offer any answers, but simply that the words I share would stir you up to find your own answers. Thank you for joining me on my journey of INTENTIONAL living. Nobody else gets a word in, i’m right “Period”, i can’t just hang out with anybody, i can deliver the moon on a stick, People don’t “get me”. One might be thinking, what’s wrong with any one of those or even all of them for that fact. Well, these might be signs of being overly self-confident. But in a day and age where my confidence is challenged constantly through the media that being younger, thinner, faster, or wearing the current trend, having the latest electronic device makes me better than the next guy, is it really possible to have too much confidence? Self-confidence is having confidence in oneself. Arrogance, is having unmerited confidence—believing something or someone is capable or correct when they are not. Overconfidence or presumptuousness is excessive belief in someone (or something) succeeding, without any regard for failure. Wikipedia says, The socio-psychological concept of self-confidence relates to self-assurance in one’s personal judgment, ability, power, etc. It says that, confidence is when i “Promise myself, no matter how difficult the problem life throws at me, that i will try as hard as i can to help myself. i am aware that sometimes my efforts to help myself may not result in success, because being properly rewarded is not in my control. All through life my self-confidence is affected by age, race, ethnicity, puberty, health, body height, body weight, body image, involvement in physical activities, gender, and awakening or discovery of sexuality. 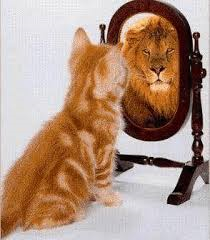 Self-confidence can vary and be observed in a variety of dimensions. Elements of my social and academic life affect my self-confidence. 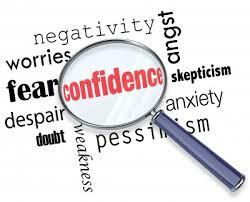 Also my self-confidence can vary in different environments, such as at home, school, work or even church. Want to hear more? Join me on Friday for the me and I Am post or podcast as i look at this topic of Confidence, lack of Confidence and self-confidence with more detail. You can subscribe to these post by visiting meandiam.wordpress.com, then you’ll receive the post and podcast as soon as it’s available. There are a number of previous posts, in a variety of categories that are there for you to consider as well. You’ll be able to listen at your leisure and I would encourage you to take notes to do further research for better understanding. i look forward to our next visit together. Thank you for sharing this time with me. Now go and live life Intentionally! I’m not good enough? I’m not thin enough? I’m not smart enough? I’m not qualified? I’m not tall enough? I’m not… I’m not… I’m not… and the list can go on? Been there, done that and still doing it! Why? Is it possible that i lack confidence because i don’t believe God will show up? What do i really believe about Hebrews 13:6 So we take comfort and are encouraged and confidently and boldly say, The Lord is my Helper; i will not be seized with alarm [i will not fear or dread or be terrified]. What can man do to me? Then what about the flip-side of those words? If i do not take comfort and i am not encouraged and i don’t confidently and boldly say, The Lord is my Helper; Then what? i will be seized with alarm [i will fear or dread or be terrified]. And in that state the question “What can man do to me” takes on a whole new meaning. If you want to hear more join me on Friday for the meandiam post or podcast as i look at this topic of Confidence or lack of Confidence. You can subscribe to these post by visiting meandiam.com then you’ll receive the post and podcast as soon as it’s available. Also you can go back and listen over and over for better understanding. While i’m Waiting… How i’ll Wait! If your like me there are many situations in my life that i am praying about and find myself waiting. i sometimes wonder why the answer hasn’t come yet? That’s why i’ve been sharing about “While i’m Waiting. Here is one thing i know for certain, before God moves, i will wait. It may be a nano second or it may be years! Waiting is a crucial part of life and guess what, everybody gets to do it. The real question is not if i’ll wait, but rather how i’ll wait. I believe that how i wait, has a huge impact on how long i wait. I have choices as to how i’ll wait. I will wait passively, or i’ll wait expectantly. If I am a passive person I hope something good will happen and i’m willing to sit around waiting to see if it does. After a short time, i give up, saying, “That’s it! I’ve waited and waited and nothing’s happened.” If I am a passive person I have a lot of wishbone and not much backbone! I f I am an expectant person, I am hopeful, but I am believing the answer is just around the corner. my belief is not a passive thing. my hope is not deferred, my heart is not sick. my heart is full of hope, expecting the problem to be solved at any moment. I spend my days expecting. i may wait and wait, but suddenly what i’ve been waiting for happens. Why would I wait for something I don’t expect or have hope in it coming to pass? By the same token why would I expect or hope for something if i’m not willing to wait for it? my waiting isn’t supposed to be spent sitting around passively hoping that something will happen sometime soon. Once i’ve asked God to answer a question or solve a problem, i need to be eagerly awaiting His answer. i need to be serving actively, aggressively and expectantly. I need to be worshiping actively, aggressively and expectantly. Having some experience in this I have found that if God answered right away, many times I would be ill-prepared to handle His solution. Sometimes i find myself in horrible messes and it’s hard to imagine waiting one more second. But i need to keep waiting on God and trusting Him with a confident yet simple faith. In the Bible Paul and Silas knew about waiting, and they waited well. Acts 16 tells the story of how they were attacked by a crowd, beaten and thrown in jail. Verse 24 says the jailer put them into the inner prison (the dungeon) and fastened their feet in the stocks. He was making sure they couldn’t escape. But about midnight, God showed up. Now it would have been nice if He’d come a little earlier, but Paul and Silas didn’t seem to mind—they just decided to start singing and began to worship the Lord. They began to wait on God. Verses 25 & 26 say, “But about midnight, as Paul and Silas were praying and singing hymns of praise to God, and the [other] prisoners were listening to them, suddenly there was a great earthquake, so that the very foundations of the prison were shaken; and at once all the doors were opened and everyone’s shackles were unfastened.” God answered them suddenly! So what am I doing today? Hebrews 10:36 (MSG.) If some enemies broke in and seized my goods, i’d let them go with a smile, knowing they couldn’t touch my real treasure. Nothing they did bothered me, nothing set me back. So i won’t throw it all away now. i was sure of yourselves then. It’s still a sure thing! But i need to stick it out, staying with God’s plan so i’ll be there for the promised completion. It won’t be long now, he’s on the way; he’ll show up most any minute. But i’m not a quitter who loses out. Oh, no! i’ll stay with it and survive, trusting all the way. While I’m Waiting… Davids Example! King David was a man of contrasts. He was in one moment committed to God, and in the next committing sins that i wouldn’t consider. That’s not to say that I don’t sin it’s just that my sins are just not as big, (i know sin is sin). David lived a life often filled with frustration. Even after he became king of Israel, he was engaged in constant warfare to defend the kingdom. David was a great military conqueror, but he could not conquer himself. His one night of lust with Bathsheba, had disastrous consequences. David was Solomon’s, father who was one of Israel’s greatest kings, yet he was also the father of Absalom, whose rebellion brought bloodshed and grief. David’s life was a roller coaster of emotional highs and lows. In the Psalms he left examples of his love for God and his moments of frustration with God. Some of David’s high moments were, killing Goliath, killing many of Israel’s enemies in battle, his refusal to kill King Saul, and his friendship with Saul’s son Jonathan. David is included in Hebrews 11. God called David a man after his own heart. Then there are some of David’s low moments, committing adultery with Bathsheba. trying to cover up her pregnancy, and when he failed with that, he had her husband killed. He took a count of the people, choosing to disobey God’s command not to do that. And he was often lax, or absent as a father, by not disciplining his children when they needed it. From this point forward is my point. God told Samuel that he had chosen a new king for Israel. The new king was to be one of the sons of Jesse. When Samuel saw the sons he thought the Lord would want Jesse’s oldest son to be the king. Instead, the Lord chose the youngest son, David, who was out tending the sheep. Samuel anointed David as the new king BUT…, it would be many years before the time was right for David to take Saul’s place. 1 Samuel 16:7 “The LORD does not look at the things people look at. People look at the outward appearance, but the LORD looks at the heart.” (NIV) This ties in with yesterday’s post in which i shared about increasing my ability… my ability to be, a man after God’s own heart. And as the song says, I will MOVE AHEAD BOLD AND CONFIDENT, taking EVERY step in obedience. While I’m waiting i am serving Him, I am worshiping Him, i am not fainting or becoming weary in well-doing. i am repositioning myself!